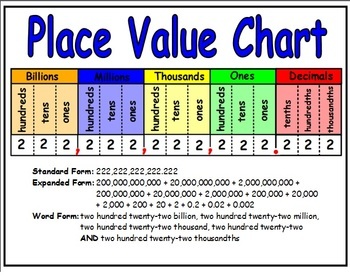 Let’s get thing one straight right off the bat, if your child truly grasps the concept of place value (according to age), it’s pretty much easy sailing as far as other math concepts like addition, subtraction, greater than, lesser than go- and mental math becomes a cinch. There are so many fun filled activities that you can do at home to reinforce the concept. You can and probably should in fact, take a couple of steps ahead from where your child is at school. Here are a few interesting things that can be done to get the juices flowing in their brains regarding this concept. This entry was posted in Math and tagged acivities, children, concept building, education, Math, place value on April 19, 2015 by rahimajabeen. The best way to teach children about most things is to bring the applications of those things in everyday life. Even teachers now resort to gamification and the creation of real life situations to more effectively teach the students. Even very young kids already know that money is what you use to buy things. You can improve your child’s mental math by asking your child to handle ‘reasonable’ amounts of money next time you go to the store. 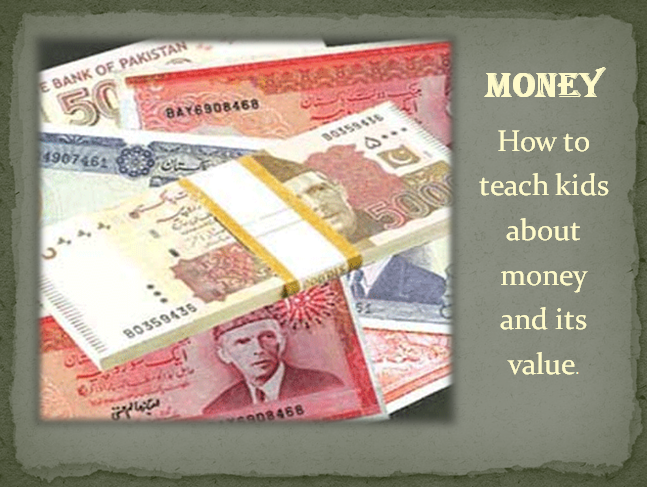 Talk to the child about which notes to use, how much change you got etc. I hope this gives you some ideas to engage your child. These basic things if taught earlier on leads to a stronger moral compass in them when they become adults. This entry was posted in Math and tagged acivities, children, education, kids, Math, money on January 10, 2015 by rahimajabeen. Making kids learn the tables is one thing, and explaining the concept is another. I used to get pretty confused as a child between addition and multiplication. These days, with the help of multimedia and extended materials, teachers have become quite proficient in explaining the concept effectively. Using straws or pencils is a common way to do this. For example, put a 3 or 4 pencils at an interval from each other, this would donate 3×1 are 3. Then put one more pencil alongside each one you placed earlier, it would then donate 3×2 are 6. Children will immediately notice that in multiplication the answers come up greater than addition. So how do we incorporate a little deen into this concept while we teach it. 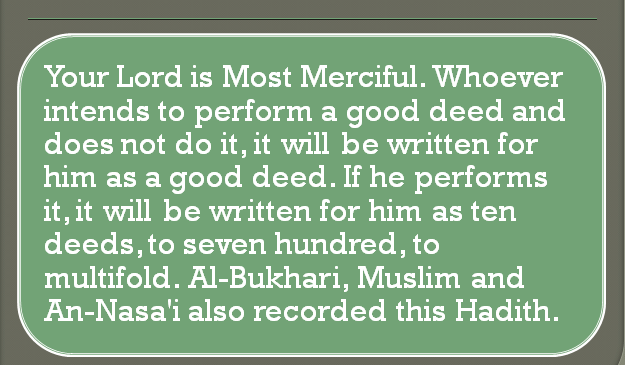 We could tell the children about hasanah and how when we think of doing one good deed it is counted as one but when we do it Allah gives us 10 hasanah or more. He multiplies it for our benefit. Simple little facts, but what a motivator to do good. Subhan Allah. 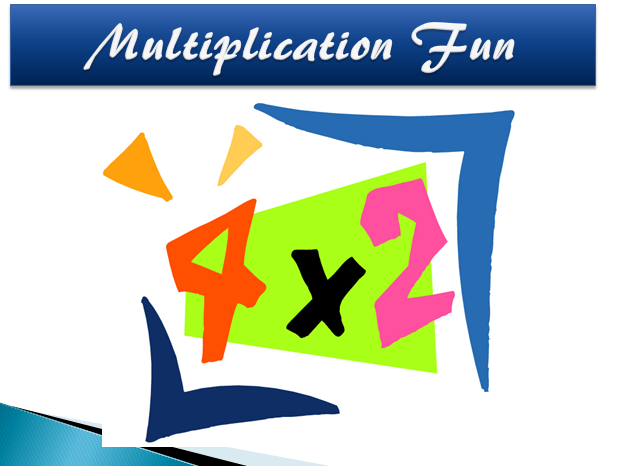 This entry was posted in Math and tagged multiplication on June 24, 2014 by rahimajabeen. As we sit down and make our children revise concepts taught at school, there are little bits of Islamic knowledge we can impart on them. Life is so fast-paced these days, there is hardly time enough to get all our work done including one on ones with the kids, so study time can serve the purpose I mentioned above. When we teach children about writing numbers in the order of smallest to biggest, we can demonstrate this by drawing a staircase and the smallest number can be written on the lowest step and then the bigger on the step above and so on. You could go a step ahead and actually make your child count the numbers while climbing a stair case. Pretty simple don’t you think? This entry was posted in Math and tagged Math, Order on May 28, 2014 by rahimajabeen.